Innate immunity may contribute to SVR during HCV DAA therapy by preventing the emergence of resistance-associated substitutions. 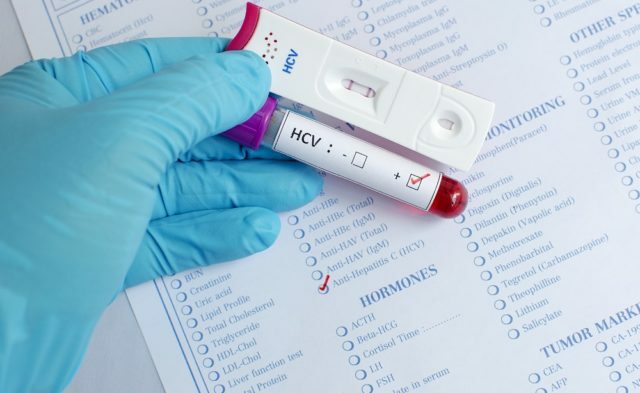 Patients infected with hepatitis C virus (HCV) who achieve sustained virologic response (SVR) during treatment with direct-acting antivirals (DAAs) are more likely to have an enhanced interferon signature in their liver and blood at baseline compared with patients who experience a virologic breakthrough, according to results published in Hepatology. These findings suggest that innate immunity may contribute to SVR during DAA therapy for HCV by preventing the emergence of resistance-associated substitutions that can lead to viral breakthrough. The study included participants with HCV genotype ab in whom a course of peginterferon/ribavirin (n=13) had previously failed. Participants were re-treated with asunaprevir/daclatasvir for 24 weeks. After pretreatment biopsy, participants were randomly assigned to undergo a second biopsy at week 2 or 4 of treatment. The researchers performed microarray and NanoString analyses on paired liver biopsies. In total, 69% (n=9) of participants achieved SVR and 4 experienced virologic breakthroughs between weeks 4 and 12. Participants who achieved SVR showed higher interferon-stimulated gene expression levels in baseline liver biopsies compared with participants who did not achieve SVR. Those who achieved SVR also had a higher frequency of pSTAT1 and TRAIL-expressing, degranulating natural killer cells in baseline blood samples compared with those who experienced virologic breakthrough. When the researchers compared gene expression levels from baseline and on-therapy biopsies, they found that 408 genes (±1.2-fold, P <.01) were expressed differentially. The genes that were downregulated during treatment were predominantly interferon-stimulated genes. The researchers found that downregulation of interferon-stimulated genes was rapid and correlated with HCV RNA suppression. “We speculate that this innate immune response may prevent the emergence of resistance-associated substitutions that lead to viral breakthrough during DAA therapy,” the study authors concluded.